CUPERTINO, California-July 27, 2010-Apple® today unveiled a new 27-inch LED Cinema Display with stunning 2560 x 1440 resolution and 60 percent more screen real estate than the 24-inch LED Cinema Display. 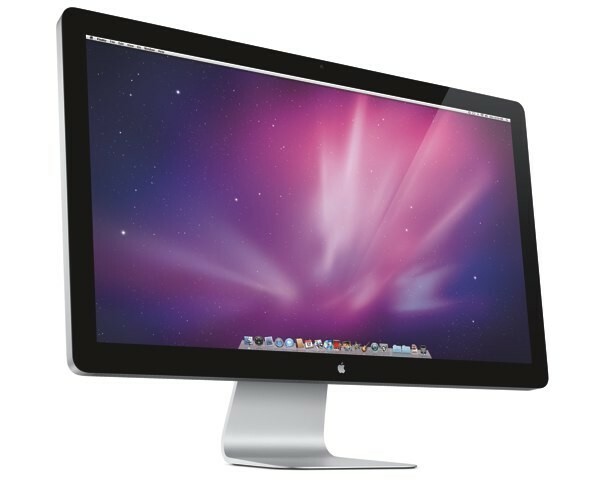 Featuring a built-in iSight® video camera, microphone and speakers, powered USB 2.0 hub, and universal MagSafe® connector, the new LED Cinema Display is an ideal companion for the MacBook® family or a Mac® desktop, and is available for $999. "With built-in MagSafe charging, iSight camera, speakers, and USB ports, the LED Cinema Display is ideal for MacBook and MacBook Pro users,"said Philip Schiller, Apple's senior vice president of Worldwide Product Marketing. "With its massive 2560 x 1440 resolution, the new 27-inch LED Cinema Display is a perfect fit with our powerful new Mac Pro, and it gives iMac users an easy way to double their screen real estate."